I have a confession. I love plates. I inherited two sets from my grandmother and I have two sets of my own – and I use them all. Seriously. My mother-in-law downsized about a year ago and I ended up with a few of her odd plates including this one. I adore this plate. Yeah I know that it really doesn’t match any of my sets but I use it all the time as a serving plate. One of my favorite things to serve on this plate is a salad. I find that salads look prettier when they’re on a plate instead of a bowl. It’s also easier to see what’s in the salad. 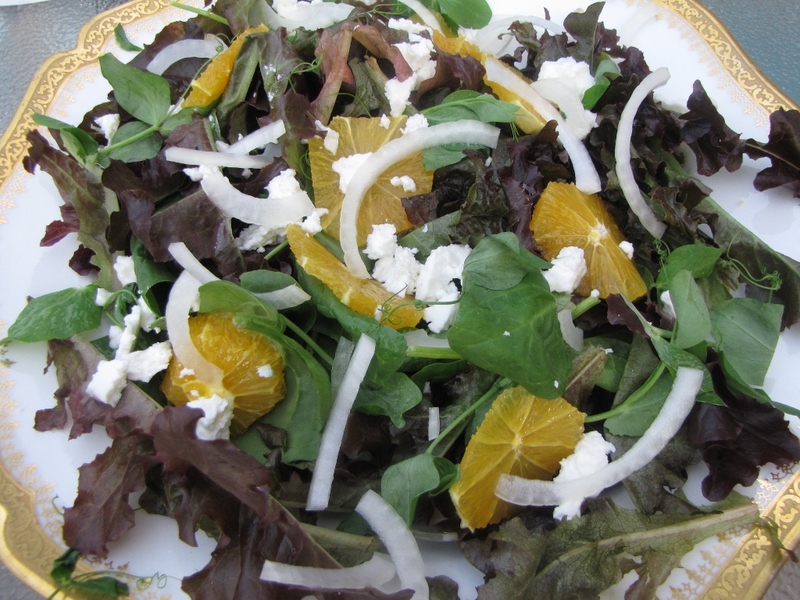 To make this salad I layered red leaf lettuce from Kilpatrick Family Farm, organic baby spinach, pea shoots from my garden, orange (peeled and sliced into rounds), onion and Bigelow’s Choice NY State Goat-Milk feta. Dress with a light vinaigrette and you’re good to go. 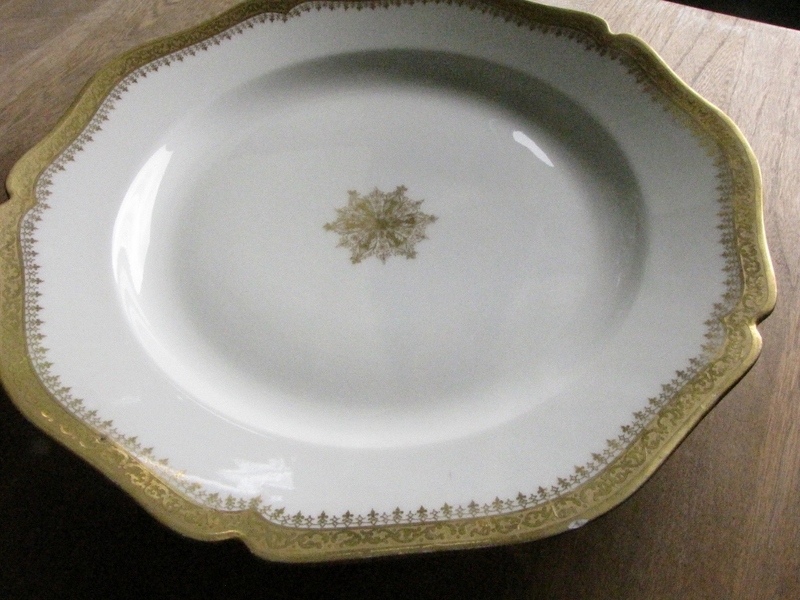 So next time you make a salad, opt for a pretty old vintage plate or platter instead. That plate IS lovely and that salad looks delicious!